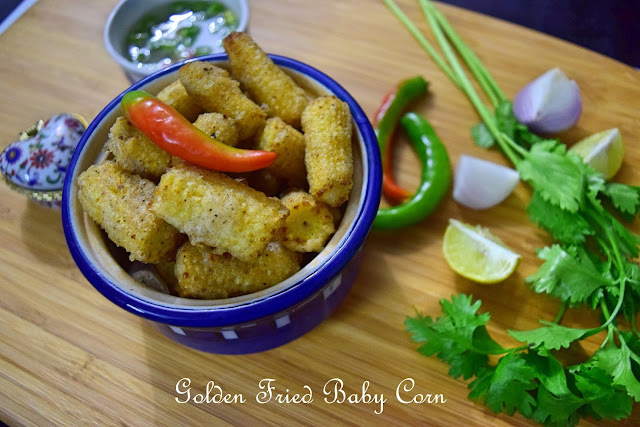 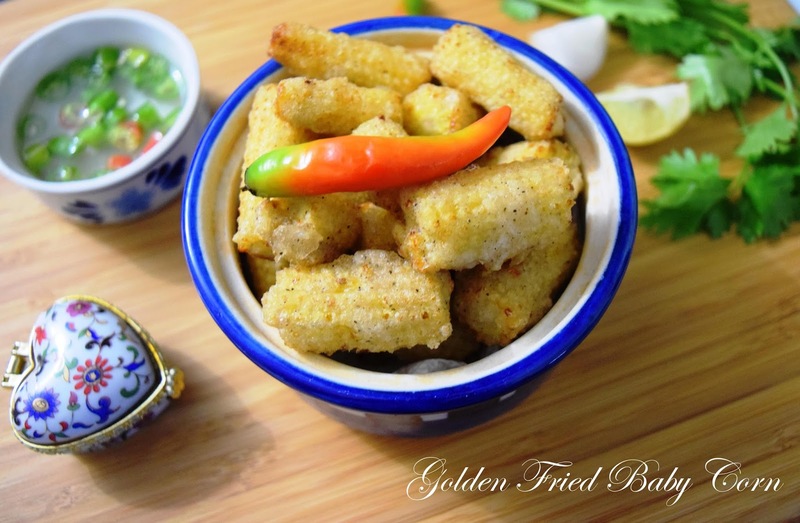 Tender baby corn marinated with ginger garlic paste and deep fried to a golden colour. 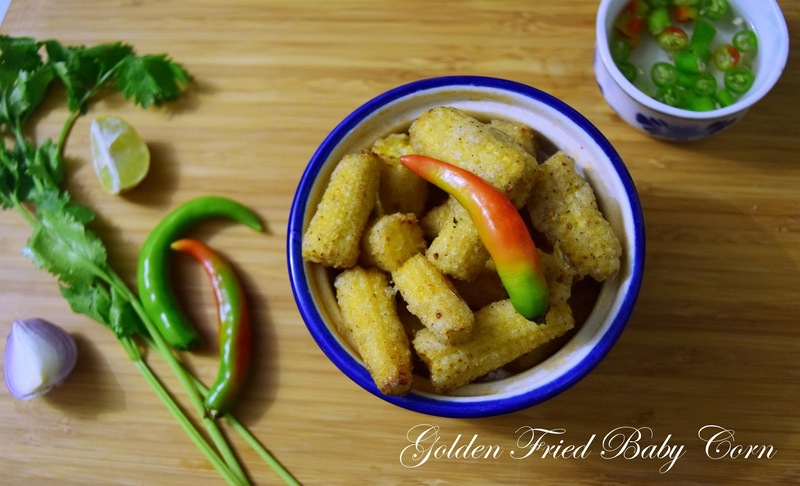 Perfect for the monsoon season. Marinate baby corn with ginger garlic, pepper and salt for an hour. 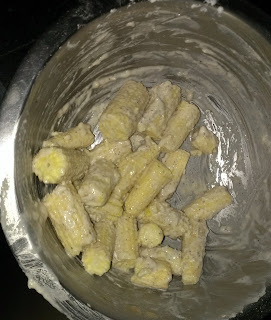 Make a batter with corn flour, maida, water and salt. Mix the baby corn pieces with this batter. 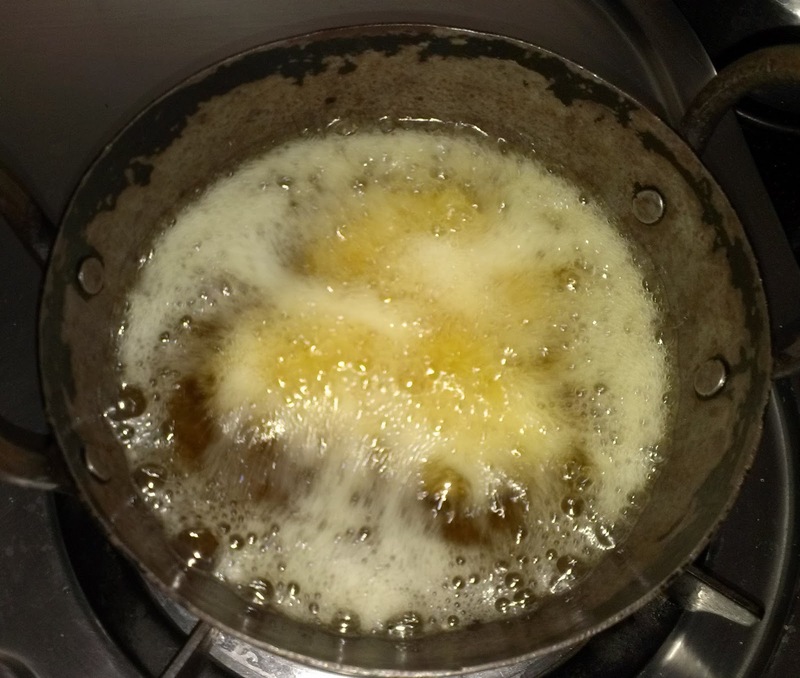 The batter should not be runny. Deep fry the baby corn pieces in hot oil till golden brown. 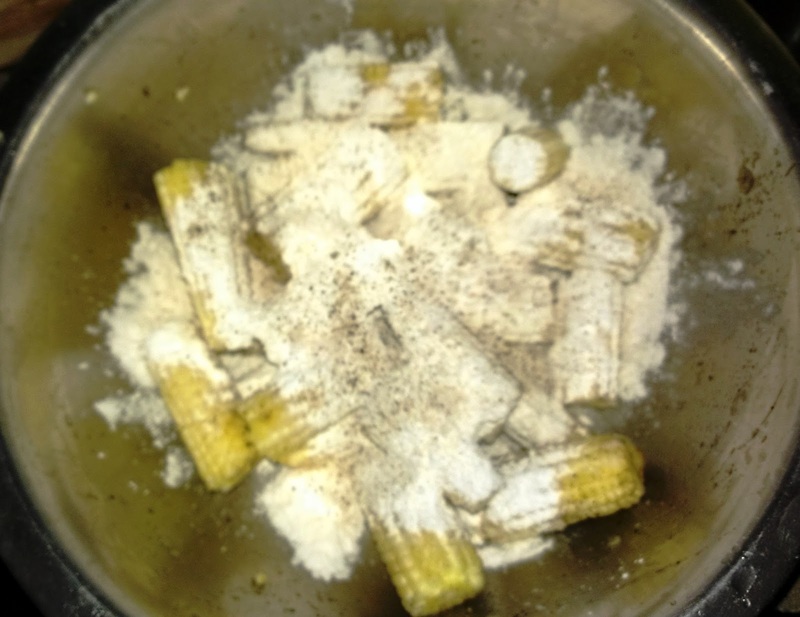 Serve hot with onion slices and lemon wedges.